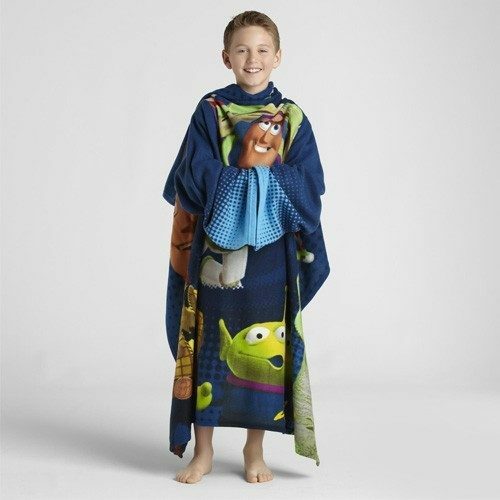 Disney Pixar Toy Story Youth Snuggle Blanket With Sleeves Just $9.99 Down From $39.99! Ships FREE! You are here: Home / Great Deals / Disney Pixar Toy Story Youth Snuggle Blanket With Sleeves Just $9.99 Down From $39.99! Ships FREE! GearXS has this Disney Pixar Toy Story Youth Snuggle Blanket With Sleeves on sale for $9.99 (Reg. $39.99) + FREE shipping! Buzz Lightyear and Woody will rescue you from chilly nights with Disney’s Toy Story Comfy Throw blanket with sleeves. Enjoy the soft, warm feeling of a fleece blanket and the freedom to use your hands to eat, write, change channels, talk on the phone or play video games. The printed design captures your favorite Toy Story friends with the words “To The Rescue” in bold block letters.